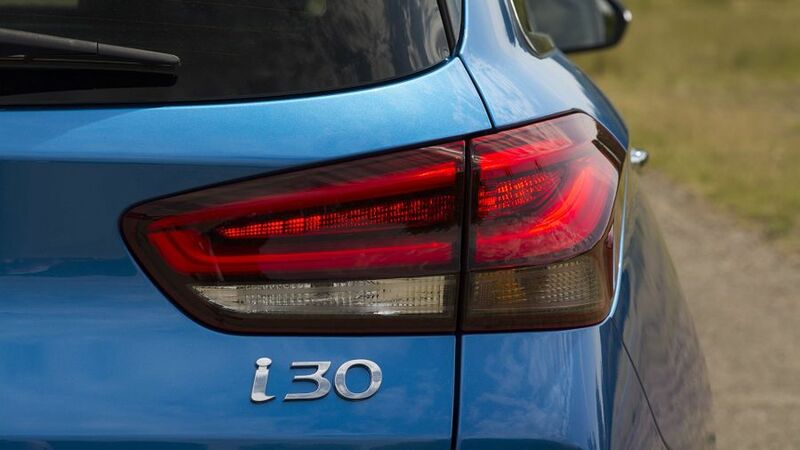 The i30 Tourer is not short of appeal. 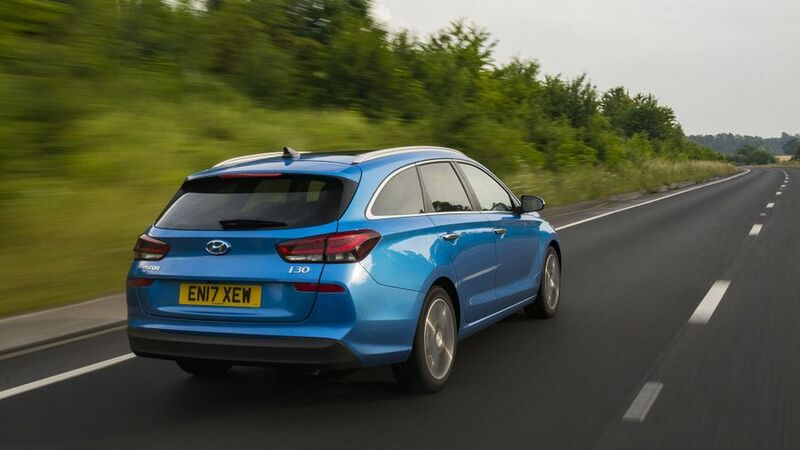 The size of the boot compares favourably with those of most small estate cars, and it’s also comfortable, well-equipped, spacious, attractively priced and comes with the reassurance of a five-year/unlimited mileage, no-quibble warranty. However, the i30 is nowhere close to being the last word in quality or driving pleasure, and as a result, there are some rivals that are better all-rounders. The nimblest car in the line-up and comes with generous kit. Light on the go-go juice and it’s well-equipped. Has the convenience of an automatic gearbox, but just too pricey in top spec form. 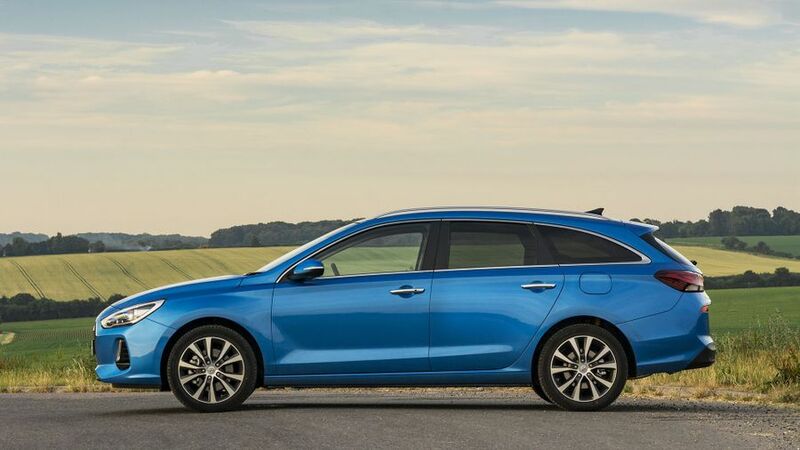 The i30 hatchback is a car that’s very conservatively styled, so it’ll be no surprise to anyone that the estate version takes a similar approach. The thing is, the sensible lines necessary for maximising the car’s load-lugging capability make the Tourer look even more hum-drum. All models roll on alloy wheels and have distinctive LED daytime running lights, but adding the optional Visibility Pack adds dual LED headlights and boosts the alloy size to a wheel arch-stuffing 17-inches. Unfortunately, the quality of some of the materials used in the i30’s cabin undermines its credentials as a true Golf rival. The steering wheel is probably the most obvious item that lets the side down. Moulded and trimmed from some pretty basic materials and punctuated by switches that look and feel like they’ve been lifted from a discount electrical warehouse, the overall feel and appearance falls way short of the work of art you use to steer a Golf. Some parts of the dashboard also have a rather scratchy feel, and the plastic panels that the door pulls sit in are even less appealing. It’s nothing you’ll find too offensive if you’re used to budget motoring, but all the same, it doesn’t meet the high standards of the class leaders. All models come with a multi-function display for the centre console, but you’ll need SE Nav trim to get the larger eight-inch infotainment screen that gives you 3D sat-nav maps, live traffic alerts, and points-of-interest information. While both the front door pockets, glovebox, and centre armrest bin are a decent size, there’s also a handy place in front of the gearshifter to store and charge your smartphone, providing your device will support inductive charging. Although the seats are comfortable, they lack some support, particularly if you choose a version with no lumbar adjustment. Any estate car – even a small one like the i30 – is all about boot space, and the Hyundai does a really solid job. It can’t match the cavernous Peugeot 308 SW or Skoda Octavia Estate for outright capacity, but it has the measure of pretty much every other rival, and you’ll also find various underfloor cubbies to stash odds and ends in. Fold the rear seats to boost capacity to its maximum, and the backrests sit nice and flush, leaving you with a flat, level load area. 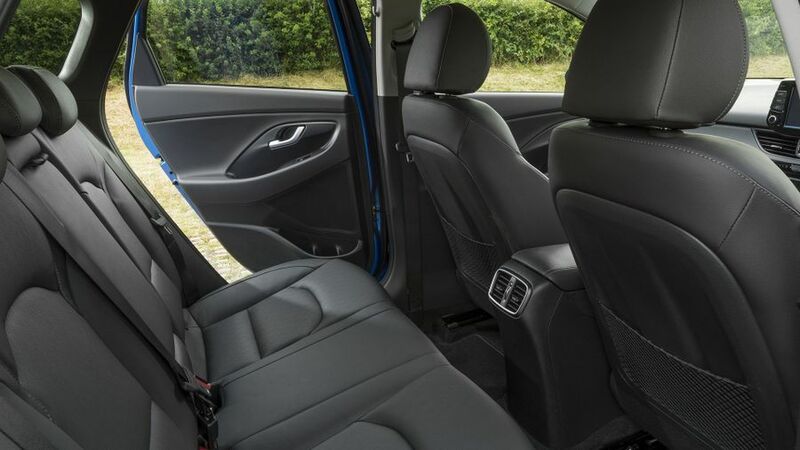 There’s a decent amount of room for passengers inside the i30, too, and it comfortably matches the vast majority of its rivals for interior space. What’s more, the transmission tunnel running down the centre of the car is low and flat, so foot space for those travelling in the middle rear seat is far less compromised than in many rivals. A heated windscreen is also standard on every i30, which is an absolute godsend on frosty mornings; helping you to stay snug inside while your neighbours are dancing around in the cold with the ice scraper. When driving through a set of corners, the i30 feels considerably heavier than it is. There’s a fair amount of body roll, and when the weight of the car pitches onto the outside wheels, it produces quite a bit of tyre noise. 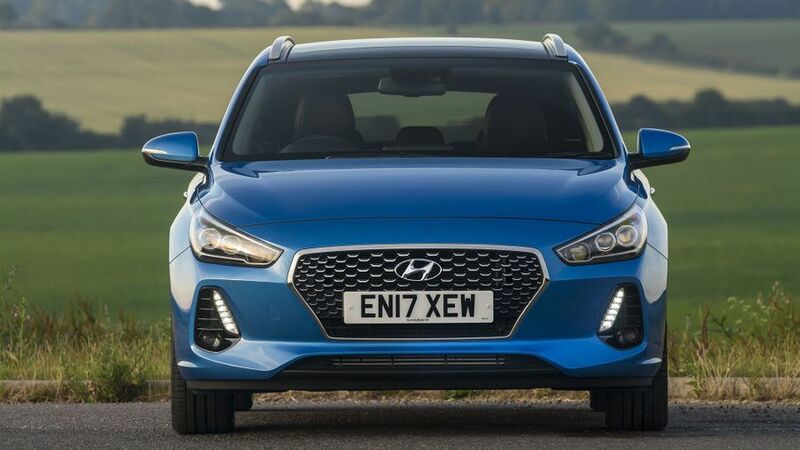 The heavier the engine fitted to your i30, the slower its reactions, and this explains why the hefty diesel-engined car feels rather sluggish, while the lightweight 1.0-litre, three-cylinder car is the sweetest driving i30. Regardless of powertrain, though, get the i30 heading down a motorway, and the cushy suspension really comes into its own. Floating over bumps, it feels relaxed, securely planted and exceptionally comfortable. Unfortunately, it’s not as quiet as it is comfortable, with plenty of road- and wind-noise finding their way into the cabin at 70mph. The engine line-up starts with a 1.0-litre, three-cylinder, turbocharged petrol unit, which is also found in the i20 supermini. It’s only available with a six-speed manual gearbox, but it clearly stands out as the sweet point in the i30 range. It delivers willing, eager performance in everyday driving conditions, and it emits an engaging three-cylinder thrum. That said, if you regularly carry a couple of passengers or a full boot, it can feel a wee bit short on puff, especially when climbing drawn-out inclines. If this applies to you, you will be better served by the 1.4-litre, four-cylinder turbocharged engine. The larger engine pulls with much greater gusto and delivers plenty of mid-range pull. It does get a bit noisy towards the top end of the rev range, but when paired with the seven-speed automatic gearbox, it’s very keen to quick-shift through the gears, so seldom is the engine allowed to stray above its comfort zone. This is all well and good for fuel consumption and noise reduction, but the gearbox can all too often be caught out in general driving conditions. You’ll occasionally find yourself stuck in too high a gear with limited access to acceleration when trying to coax your way onto a roundabout. There’s also a pair of 1.6-litre diesel engines available, developing either 110PS or 136PS, both of which will be of interest to business users thanks to low emissions and the resulting tax advantages that brings. We’ve tried the more modest one, and it delivers steady-yet-sedate performance that’ll be perfectly adequate for most (although there’s little performance advantage to be had from choosing the more powerful version). Both stay quiet and smooth. The entry-level diesel engine will best suit those with an eye on running costs, because it delivers an impressive official fuel consumption figure of 74.3mpg, along with CO2 emissions of 99g/km. That means it’ll go down especially well with fleet users and fleet managers, alike. Given the exorbitant price of fuel these days, it’s encouraging that even the least efficient engine – the turbocharged 1.4-litre petrol – manages 51.4mpg, while most versions of the turbocharged 1.0-litre petrol return 54.3mpg. The outgoing i30 has proved to be a tough and durable car, and the new one makes use of many of that car’s mechanical components. 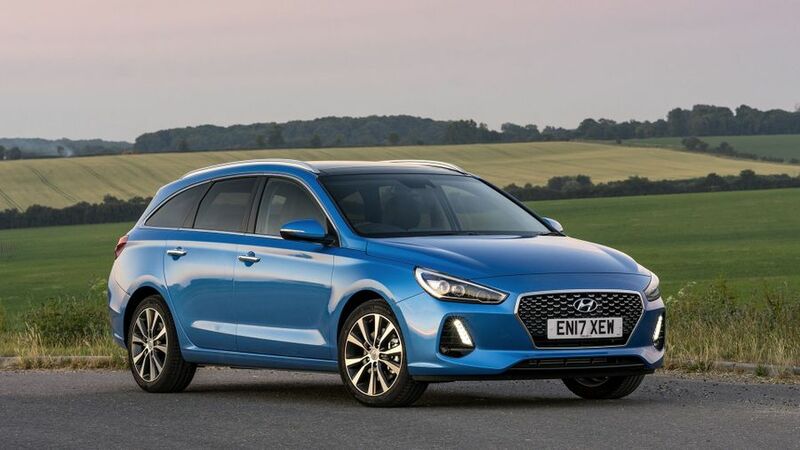 Hyundai generally has an excellent reputation for reliability and robust construction, so we can see no reason why the latest i30 should stray from this excellent track record. Five years of roadside assistance and vehicle health checks are included with the standard, fully transferable, unlimited-mileage warranty. The i30 Tourer should mirror the performance of the hatchback on safety, and that car has been awarded a five-star Euro NCAP crash test score. Its active safety elements include six airbags, Hill-Start Assist, electronic vehicle stability management and brake lights which flash during an emergency stop. The i30 also comes with Autonomous Emergency Braking, Driver Attention Alert and Lane Keep Assist. 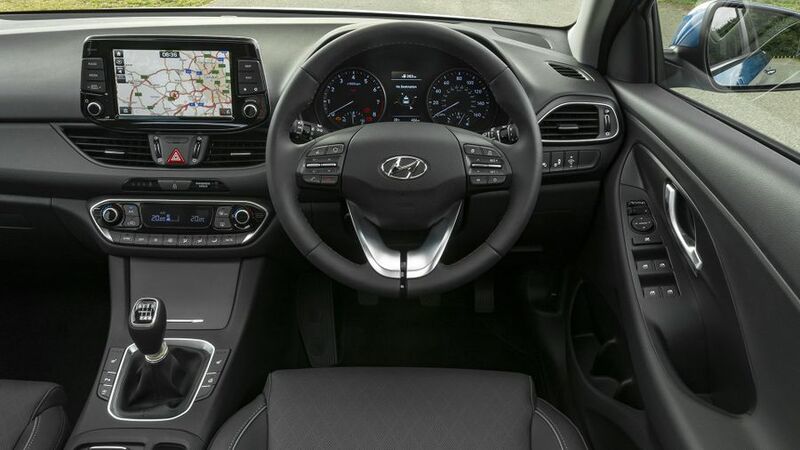 The i30 range starts with S trim (only available with the 1.0 T-GDi 120 engine), and it comes with 15-inch alloy wheels, LED daytime running lights, a DAB radio with USB and aux connections, Bluetooth, steering wheel controls and electric front and rear windows. SE cars adds 16-inch alloy wheels, front fog lamps, a 5.0-inch LCD touch-screen, rear parking assist, a rear-view camera and a leather steering wheel. Really though, if you can afford it, you’ll be better off with an SE Nav model, as it brings more connectivity and comfort thanks to an integrated satellite-navigation displayed on an 8.0-inch LCD touch-screen, voice recognition, wireless phone charging and dual-zone climate control. From this point on, it’s a case of how much you want to spend. Premium trim includes 17-inch alloy wheels, electronic parking brake with auto hold function, privacy glass and heated front seats with faux-leather/cloth covering that are electronically adjustable. Top-end Premium SE adds a panoramic sunroof, leather seats and a heated steering wheel, but it’s very pricey. The i30 Tourer is a decent all-rounder and a very solid family car. Given the right road, it’s comfortable and refined, so if all you do is run up and down motorways all day, you’ll have little to complain about. Go for a 1.0-litre manual car, and it’s undoubtedly a lot of car for the money, while it has all the practicality anyone considering a car of this type will be looking for. It should also prove utterly painless to own, with little to worry about thanks to its comprehensive five-year warranty. It doesn’t have the polish of a VW Golf Estate, or the capacity of a Peugeot 308 SW, but it’s not without its merits.